Overview: Fantacy Nuts 25 Lines will take you back to the forst! 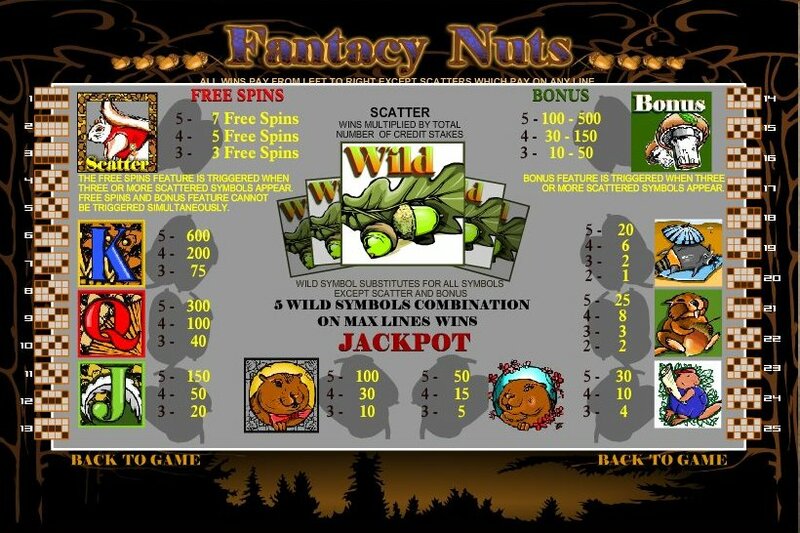 Line up Lazy Raccoons and win up to 20 coins; catch the busy squirrels and win up to 7 free spins. Mama Beaver will get you 50 coins while Papa beaver gets you 100 coins. Look out for the carefully crafted letters J, K and Q! which will surely surprise you! 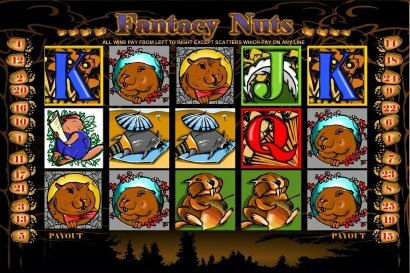 Similar Slots: If you like Fantacy Nuts, you might like these other slot machines from Top Game: Bee Land, Forest Treasure, Grave Grabbers, Happy Circus, Shia Safavids Treasure, Witches Cauldron.